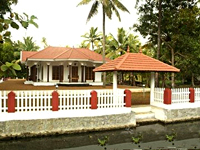 Coconut Creek is a Kerala heritage home more than 60 years old, located by the side of a canal, which leads to the Kumarakom Lake.The house set on four acres of lush evergreen was converted to a modern bed and breakfast homestay facility.Coconut Creek farm homestay is located on an area of 4 acres of land which is filled with typical Kerala crops like coconut, mango, small banana, jackfruit and many more. 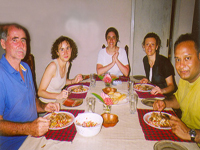 If you are lucky enough to visit us at the right time we will definitely let you try the natural taste of Kerala. 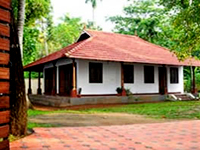 GK's Riverview Homestay situated at bank of river Meenachil, located at Kumarakom, Kerala.The village has beautiful Mangrove forests, Paddy (rice) fields and Coconut groves with water ways and canals with spice and medicinal plants. 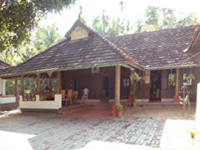 Here one can explore Kerala's village life. 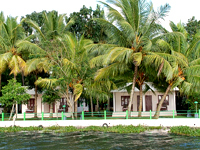 The village has ancient Christian churches, Hindu temples, country and snake boats.